Footwear appears in a lot of famous stories. Cinderella's glass slipper is the stuff of legend, Puss in Boots was known for his fancy footwear, even Dorothy had to click her ruby slippers three times before going back to Kansas. If anything could inspire a work-rel ... (see full details) (see specifications) #KEN1006978. Footwear appears in a lot of famous stories. Cinderella's glass slipper is the stuff of legend, Puss in Boots was known for his fancy footwear, even Dorothy had to click her ruby slippers three times before going back to Kansas. If anything could inspire a work-related fairy tale, it's KEEN Utility 1006978 Atlanta steel toe shoes. A combination of brown leather, webbing, and mesh combine to create the sweeping, low-cut uppers. Combined with the nylon and mesh lining, the uppers create an airy, comfortable environment for your feet. The breathable, flexible uppers move freely with your feet, while still being water-resistant. The reflective webbing on the exteriors of the KEEN Utility shoes adds high-visibility safety, lighting up in darkness to make you easier to see. The secure fit lace capture system is made to stay in place, so nothing will slow you down. Dual-density footbeds in the men's shoes are made with two layers of lightweight EVA foam. Made in KEEN Utility's Metatomical, removable design, the footbeds are made with an anatomical construction to support arches and cradle the curves of your feet. Because they're removable, the footbeds are easy to clean for odor prevention. The midsoles are made with more EVA foam in dual-density construction to create a lightweight, airy core of impact-resistance. Torsion stability shanks lift and support your muscles, preventing strain. The non-marking rubber soles of the steel toe shoes support it all with a slip-resistant tread. Rated for ASTM F1677-96 MARK II non-slip safety standards, the rugged soles are protected with oil-resistance that guards against corrosive chemicals. For more stability, there are contoured heel locks in place. The steel toes are made with an asymmetrical design that gives feet a roomier toe box for greater comfort. The toes are tested to meet ASTM F2412-05 and F2413-05 I/75 and C/75 safety standards for impact- and compression-resistance. The men's KEEN Utility 1006978 Atlanta steel toe shoes just may be your ticket to happily ever after. This was previously listed as style U100 36. I love these shoes. I have had sweaty feet with other steel toed shoes but the vents in these keep my feet dry. This shoe has a roomy toe box you can wiggle your toes. The shoes are so comfortable I even wear them on weekends. These shoes are the most comfortable work shoes. They are very cool to the wear. I am very rough on work shoes and I've gotten two years of service on these. I have ordered a second pair to replace my old pair. On a scale of 1 to 10 these are a 10. The price is a little high, but worth it. I would recommend these shoes to anyone who needs a good work shoe because they are so very comfortable and very strong and durable. I would also purchase the same/similar type of shoes again for myself. they were hot on the sole and clumsy heavy the first day, tried them another day and started to like them and really like them now. would like a lighter, cooler, breathable safety toe shoe for 12 hour shift in a environment. Most all shoes are made insulated, waterproof and heavy for outdoor. In conclusion they are a good shoe. I work on concrete all day long and have to have steel toe shoes. 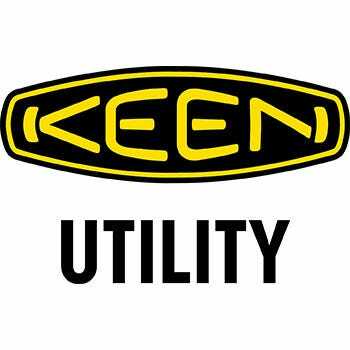 I have bought a lot of shoes but will never buy a different brand you can not go wrong with keen. They are shoes that you can stand in for 10 hours and my feet never hurt. The shoes aren't heavy to carry around either. I love there Non steel toe shoes too!!!! KEEN Utility 1006978 Men's Atlanta Steel Toe Shoes is being added to your cart.